Shocking when you hear it all laid out. I thoroughly enjoyed watching that. I love that Jenas still has so much love for Spurs. He’s not a boyhood fan but clearly is a massive fan now. Great pundit too. I shouted these exact words at Jenas while he was working for BT for the Inter game and he winked at me. Really harsh on Emery, even if he does have his short-comings (been told by someone who worked with him). I don't think he's being helped at all and I actually think this was a bad career move for him as many goon fans will be expecting/demanding top 4 finishes and title challenges which is a million miles away from their current situation. In the summer I said pretty much all that would happen. They don’t have a fan base as patient as ours. They don’t have the stomach for a lack of success. The majority of their fans now weren’t fans before Wenger and so know nothing different. It’s beautiful and will get worse for them before it gets better. The longer we are relatively good though the more chance there is of our fanbase developing into something similar, it's the 90s and 00s that have many of us more grounded, but you can already see it seeping in just looking at some if the comments on here. Dr Jekyll and Mr Ty. Go to Wembley mate.. Its becoming more like a Harry Potter convention every game.. Where nearly at the point of no return already..the new lane can turn us either way?.. I regard myself very fortunate to have been at the lane at its voicerferoius and rabid best from. The late 60's onwards to the mid nineties. The change over the last few seasons is quite remarkable. The “I must have now generation!”. They are overtaking us old guards. Look at city and Chelsea. Entitled twats now. 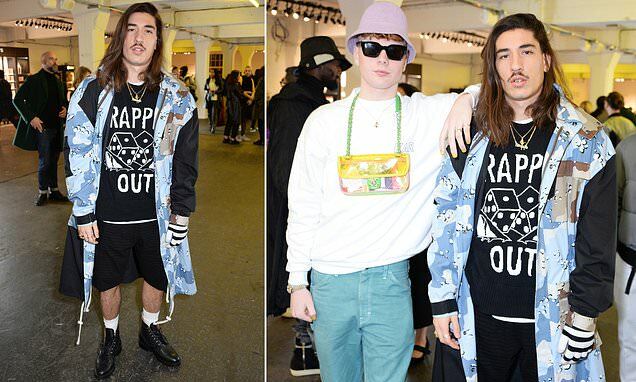 Hector Bellend, WTF is he wearing? It's his old Arsene Wenger top. "Crappy Out". They didn’t win a game away last season did they? Gave up on Wembley ages ago. Hopefully the drips can't get tickets in the new place.